TopAir Systems has released a variety of new products. 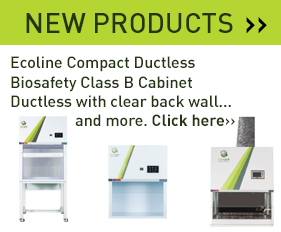 One of the new releases is the Ecoline series of especially compact, economical systems. Click each of the new products below for more info. Topair offers a wide range of Polypropylene Fume Cupboards, made of high-quality non-corrosive polypropylene with excellent chemical resistance. Polypropylene increases the product’s tensile strength and improves its thermal characteristics. TopAir to present at ILMAC AND MILIPOL!